Jen is a Chartered Accountant who joined Ward Goodman in 2010. Jen has 10 years of experience working in the audit department of a “Big 4” firm, and two years of experience with a small general practice in Hampshire. 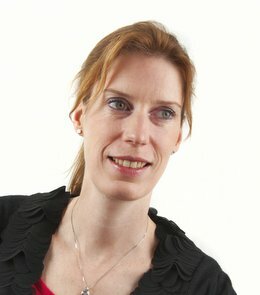 She holds the Diploma in Charity Accounting and is a member of the ACCA Charity Technical Advisory Group. Jen is treasurer for The Labrador Rescue Trust and trustee of two other local charities and has extensive experience in working with charities of all sizes. Charity clients appreciate her practical advice borne out of past and current experience of dealing with day-to-day matters. Jen is also Treasurer of East Dorset Open Water Swimming Club and an active member of Wimborne Women in Business. Personal interests: Away from work Jen enjoys walking her Labradors, open water swimming, pool swimming and is a member of the triumphant ‘Heads and Tails’ quiz team at her local pub. BA (Hons), FCCA, ACA, DChA, Associate member of the Association of Charity Independent Examiners. Please find testimonials from our charity clients here.